All Civil War battles in Virginia 1864. They are in the order in which they occurred during the Civil War. 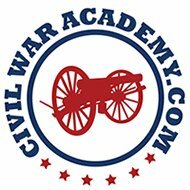 Description: The opening battle of Grant’s sustained offensive against the Confederate Army of Northern Virginia, known as the Overland Campaign, was fought at the Wilderness, May 5-7. On the morning of May 5, 1864, the Union V Corps attacked Ewell’s Corps on the Orange Turnpike, while A.P. Hill’s corps during the afternoon encountered Getty’s Division (VI Corps) and Hancock’s II Corps on the Plank Road. Fighting was fierce but inconclusive as both sides attempted to maneuver in the dense woods. Darkness halted the fighting, and both sides rushed forward reinforcements. At dawn on May 6, Hancock attacked along the Plank Road, driving Hill’s Corps back in confusion. Longstreet’s Corps arrived in time to prevent the collapse of the Confederate right flank. At noon, a devastating Confederate flank attack in Hamilton’s Thicket sputtered out when Lt. Gen. James Longstreet was wounded by his own men. The IX Corps (Burnside) moved against the Confederate center, but was repulsed. Union generals James S. Wadsworth and Alexander Hays were killed. Confederate generals John M. Jones, Micah Jenkins, and Leroy A. Stafford were killed. The battle was a tactical draw. Grant, however, did not retreat as had the other Union generals before him. On May 7, the Federals advanced by the left flank toward the crossroads of Spotsylvania Courthouse. Description:In conjunction with the opening of Grants Overland Campaign, Maj. Gen. Benjamin Butler’s Army of the James, 33,000 strong, disembarked from transports at Bermuda Hundred on May 5, threatening the Richmond-Petersburg Railroad. On May 6, Hagood’s brigade stopped initial Federal probes at Port Walthall Junction. On May 7, a Union division drove Hagood’s and Johnson’s brigades from the depot and cut the railroad at Port Walthall Junction. Confederate defenders retired behind Swift Run Creek and awaited reinforcements. Description: After the Wilderness, Grant’s and Meade’s advance on Richmond by the left flank was stalled at Spotsylvania Court House on May 8. This two-week battle was a series of combats along the Spotsylvania front. The Union attack against the Bloody Angle at dawn, May 12-13, captured nearly a division of Lee’s army and came near to cutting the Confederate army in half. Confederate counterattacks plugged the gap, and fighting continued unabated for nearly 20 hours in what may well have been the most ferociously sustained combat of the Civil War. On May 19, a Confederate attempt to turn the Union right flank at Harris Farm was beaten back with severe casualties. Union generals Sedgwick (VI Corps commander) and Rice were killed. Confederate generals Johnson and Steuart were captured, Daniel and Perrin mortally wounded. On May 21, Grant disengaged and continued his advance on Richmond. Description: On May 9, Maj. Gen. Benjamin Butler made a thrust toward Petersburg and was met by Bushrod Johnson’s Division at Swift Creek. A premature Confederate attack at Arrowfield Church was driven back with heavy losses, but Union forces did not follow up. After skirmishing, Butler seemed content to tear up the railroad tracks and did not press the defenders. In conjunction with the advance to Swift Creek, five Federal gunboats steamed up the Appomattox River to bombard Fort Clifton, while Hincks’s U.S. Colored Troops infantry division struggled through marshy ground from the land side. The gunboats were quickly driven off, and the infantry attack was abandoned. Description: On May 10, Brig. Gen. W.W. Averell’s raiders encountered a brigade under William Grumble Jones near Cove Mountain. After delaying the Union advance, the Confederates withdrew. The next day, Averell reached the New River Bridge on the Virginia & Tennessee Railroad, which he burned. Description: After his repulse at Swift Creek and Fort Clifton on May 9, Maj. Gen. Benjamin Butler withdrew into his entrenchments at Bermuda Hundred. A Confederate army of 18,000 was patched together under command of Gen. P.G.T. Beauregard to confront Butler’s 30,000. On May 12, Butler moved north against the Confederate line at Drewry’s Bluff but again adopted a defensive posture when his attack was not supported by gunboats. On the 13th a Union column struck the right flank of the Confederate line at the Wooldridge House, carrying a line of works. Butler remained cautious, however, giving Beauregard time to concentrate his forces. On May 16 at dawn, Ransom’s Confederate division opened an attack on Butler’s right flank, routing many units. Subsequent attacks lost direction in the fog, but the Federals were disorganized and demoralized. After severe fighting, Butler extricated himself from battle, withdrawing again to his Bermuda Hundred Line. This battle stopped Butler’s offensive against Richmond. Description: In conjunction with his Spring offensive, Lt. Gen. U.S. Grant ordered Maj. Gen. Franz Sigel to move up the Shenandoah Valley along the Valley Pike with 10,000 men to destroy the railroad and canal complex at Lynchburg. At New Market on the 15th, Sigel was attacked by a makeshift Confederate army of about 4,100 men commanded by Maj. Gen. John C. Breckinridge. At a crucial point, a key Union battery was withdrawn from the line to replenish its ammunition, leaving a weakness that Breckinridge was quick to exploit. He ordered his entire force forward, and Sige’s stubborn defense collapsed. Threatened by the Confederate cavalry on his left flank and rear, Sigel ordered a general withdrawal burning the North Fork bridge behind him. Sigel retreated down the Valley to Strasburg and was soon replaced by Maj. Gen. David Hunter. Description: After the fighting at Spotsylvania Court House, Grant continued his Overland Offensive against Lee’s Army of Northern Virginia. He was brought up short on the North Anna River by Lee’s widely studied hog snout line, which forced Grant to divide his army into three parts in order to attack. On May 23, 1864, one of A.P. Hill’s divisions assaulted the V Corps which had crossed the river at Jericho Mill, resulting in bloody see-saw fighting. On the 24th, Union infantry was repulsed at Ox Ford (the snout) but advanced to near the Doswell House on the Confederate right. Lee hoped to strike an offensive blow, but he was ill, and the opportunity for defeating an isolated part of the Federal army passed. Once the threat of Lee’s position was revealed, Grant withdrew both wings of the army back across the North Anna River. Grant outflanked the position by moving downstream and continued his advance on Richmond. Description: Operations along Totopotomoy Creek opened with cavalry combats at the Pamunkey River crossing at Dabney’s Ferry (Hanovertown) and at Crump’s Creek on May 27. During the cavalry fight at Haw’s Shop on May 28, Union and Confederate infantry arrived in the vicinity. The Confederates entrenched behind Totopotomoy Creek. On the 29th, the Union II, IX, and V Corps probed Lee’s position along the creek, while the VI Corps felt its way toward Hanover Court House. Early on the 30th, the VI Corps turned south to come in on the far right flank of the Union line (II Corps) but bogged down in swampy Crump’s Creek without getting into position. The II Corps forced a crossing of Totopotomoy Creek in two places, capturing the first line of Confederate trenches, but the advance was stopped at the main line. The IX Corps maneuvered into position on the left of the II Corps, driving back Confederate pickets on the Shady Grove Road. In the meantime, the V Corps, moving near Bethesda Church on the far left flank of the Union army, was attacked by Early’s corps. The Federals were driven back to Shady Grove Road after heavy fighting. Confederate Brig. Gen. George Doles was killed by a sharpshooter near Bethesda Church on June 2. Description: After replacing Sigel in command of Union forces in the Shenandoah Valley, Maj. Gen. David Black Dave Hunter renewed the Union offensive. On June 5, Hunter engaged the Confederate army under Grumble Jones north of Piedmont. After severe fighting, a flanking movement made by Thoburn’s brigade turned Jone’s right flank. While trying to stem the retreat of his soldiers, Jones was killed. The retreat became a rout. More than 1,000 Confederates, including 60 officers, were captured. Jones lost three guns. Hunter occupied Staunton on June 6 and, after a pause to await the arrival of Brig. Gen. George Crook’s column, began to advance on Lynchburg, destroying military stores and public property in his wake. Description: On June 9, Maj. Gen. Benjamin Butler dispatched about 4,500 cavalry and infantry against the 2,500 Confederate defenders of Petersburg. While Butler’s infantry demonstrated against the outer line of entrenchments east of Petersburg, Kautz’s cavalry division attempted to enter the city from the south via the Jerusalem Plank Road but was repulsed by Home Guards. Afterwards, Butler withdrew. This was called the battle of old men and young boys by local residents. On June 14-17, the Army of the Potomac crossed the James River and began moving towards Petersburg to support and renew Butler’s assaults. Description: To draw off the Confederate cavalry and open the door for a general movement to the James River, Maj. Gen. Philip Sheridan mounted a large-scale cavalry raid into Louisa County, threatening to cut the Virginia Central Railroad. On June 11, Sheridan with the Gregg’s and Torbert’s divisions attacked Hampton’s and Fitzhugh Lee’s cavalry divisions at Trevilian Station. Sheridan drove a wedge between the Confederate divisions, throwing them into confusion. On the 12th, fortunes were reversed. Hampton and Lee dismounted their troopers and drew a defensive line across the railroad and the road to Gordonsville. From this advantageous position, they beat back several determined dismounted assaults. Sheridan withdrew after destroying about six miles of the Virginia Central Railroad. Confederate victory at Trevilian prevented Sheridan from reaching Charlottesville and cooperating with Hunter’s army in the Valley. This was one of the bloodiest cavalry battles of the war. Description: On May 31, Sheridan’s cavalry seized the vital crossroads of Old Cold Harbor. Early on June 1, relying heavily on their new repeating carbines and shallow entrenchments, Sheridan’s troopers threw back an attack by Confederate infantry. Confederate reinforcements arrived from Richmond and from the Totopotomoy Creek lines. Late on June 1, the Union VI and XVIII Corps reached Cold Harbor and assaulted the Confederate works with some success. By June 2, both armies were on the field, forming on a seven-mile front that extended from Bethesda Church to the Chickahominy River. At dawn June 3, the II and XVIII Corps, followed later by the IX Corps, assaulted along the Bethesda Church-Cold Harbor line and were slaughtered at all points. Grant commented in his memoirs that this was the only attack he wished he had never ordered. The armies confronted each other on these lines until the night of June 12, when Grant again advanced by his left flank, marching to James River. On June 14, the II Corps was ferried across the river at Wilcox’s Landing by transports. On June 15, the rest of the army began crossing on a 2,200-foot long pontoon bridge at Weyanoke. Abandoning the well-defended approaches to Richmond, Grant sought to shift his army quickly south of the river to threaten Petersburg. Description: Marching from Cold Harbor, Meade’s Army of the Potomac crossed the James River on transports and a 2,200-foot long pontoon bridge at Windmill Point. Butler’s leading elements (XVIII Corps and Kautz’s cavalry) crossed the Appomattox River at Broadway Landing and attacked the Petersburg defenses on June 15. The 5,400 defenders of Petersburg under command of Gen. P.G.T. Beauregard were driven from their first line of entrenchments back to Harrison Creek. After dark the XVIII Corps was relieved by the II Corps. On June 16, the II Corps captured another section of the Confederate line; on the 17th, the IX Corps gained more ground. Beauregard stripped the Howlett Line (Bermuda Hundred) to defend the city, and Lee rushed reinforcements to Petersburg from the Army of Northern Virginia. The II, XI, and V Corps from right to left attacked on June 18 but was repulsed with heavy casualties. By now the Confederate works were heavily manned and the greatest opportunity to capture Petersburg without a siege was lost. The siege of Petersburg began. Union Gen. James St. Clair Morton, chief engineer of the IX Corps, was killed on June 17. Description:On June 21, the Union II Corps, supported by the VI Corps, attempted to cut the Weldon Railroad, one of the major supply lines into Petersburg. The movement was preceded by Wilson’s cavalry division which began destroying tracks. On June 22, troops from Lt. Gen. A.P. Hill’s corps led by Brig. Gen. William Mahone counterattacked, forcing the II Corps away from the railroad to positions on the Jerusalem Plank Road. Although the Federals were driven from their advanced positions, they were able to extend their siege lines farther to the west. Description:On June 24, Maj. Gen. Wade Hampton’s cavalry attempted to cut off Sheridan’s cavalry returning from their raid to Trevilian Station. Sheridan fought a delaying action to protect a long supply train under his protection, then rejoined the Union army at Bermuda Hundred. Description: On June 22, the cavalry divisions of Brig. Gen. James Wilson and Brig. Gen. August Kautz were dispatched from the Petersburg lines to disrupt Confederate rail communications. Riding via Dinwiddie Court House, the raiders cut the South Side Railroad near Ford’s Station that evening, destroying tracks, railroad buildings, and two supply trains. On June 23, Wilson proceeded to the junction of the Richmond & Danville Railroad at Burke Station, where he encountered elements of William H.F. Lee’s cavalry between Nottoway Court House and Blacks and Whites (modern-day Blackstone). Wilson followed Kautz along the South Side Railroad, destroying about thirty miles of track as he advanced. On June 24, while Kautz remained skirmishing around Burkeville, Wilson crossed over to Meherrin Station on the Richmond & Danville and began destroying track. On June 25, Wilson and Kautz continued tearing up track south to the Staunton River Bridge, where they were delayed by Home Guards, who prevented destruction of the bridge. Lee’s cavalry division closed on the Federals from the northeast, forcing them to abandon their attempts to capture and destroy the bridge. By this time, the raiders were nearly 100 miles from Union lines. Description: Maj. Gen. William H.F. Rooney Lee’s cavalry division pursued Wilson’s and Kautz’s raiders who failed to destroy the Staunton River Bridge on June 25. Wilson and Kautz headed east and, on June 28, crossed the Nottoway River at the Double Bridges and headed north to Stony Creek Depot on the Weldon Railroad. Here, they were attacked by Maj. Gen. Wade Hampton’s cavalry division. Later in the day, William H.F. Lee’s Division arrived to join forces with Hampton, and the Federals were heavily pressured. During the night, Wilson and Kautz disengaged and pressed north on the Halifax Road for the supposed security of Reams Station, abandoning many fleeing slaves who had sought security with the Federal raiders. Description: Early morning June 29, Brig. Gen. August Kautz’s division reached Ream’s Station on the Weldon Railroad, which was thought to be held by Union infantry. Instead, Kautz found the road barred by Mahone’s Confederate infantry division. Wilson’s division, fighting against elements of William H.F. Rooney Lee’s cavalry, joined Kautz’s near Ream’s Station, where they were virtually surrounded. About noon, Mahone’s infantry assaulted their front while Fitzhugh Lee’s cavalry division threatened the Union left flank. The raiders burned their wagons and abandoned their artillery. Separated by the Confederate attacks, Wilson and his men cut their way through and fled south on the Stage Road to cross Nottoway River, while Kautz went cross-country, reaching Federal lines at Petersburg about dark. Wilson continued east to the Blackwater River before turning north, eventually reaching Union lines at Light House Point on July 2. The Wilson-Kautz raid tore up more than 60 miles of track, temporarily disrupting rail traffic into Petersburg, but at a great cost in men and mounts. Description: A Union column, consisting of the VI Corps and elements of the XIX Corps under Maj. Gen. Horatio Wright, pursued Early’s army as it withdrew from the environs of Washington, D.C. Wright’s force was joined by elements of Crook’s command, which had accompanied Hunter during his retreat through West Virginia. On July 17, the Union cavalry passed through Snickers Gap and attempted to force passage of the Shenandoah River at Snickers Ford (Castleman’s Ferry). On the morning of July 18, the vanguard of the Union infantry moved through Snickers Gap. Col. Joseph Thoburn (of Crook’s command) led his division downstream to cross the river at Judge Richard Parker’s Ford. Early’s three nearby infantry divisions moved to defend the fords. In the afternoon, Rodes’s division attacked and shattered Thoburn’s right flank on the Cool Spring plantation. Thoburn made a stand behind a stone wall at the river’s edge and beat off three attacks until darkness enabled him to withdraw. Union pursuit of Early was delayed several days. Description: Believing that Early’s army was no longer a threat in the Valley, Maj. Gen. Horatio Wright abandoned his pursuit and ordered the VI and XIX Corps to return to Washington, where they were to be sent to Grant’s army group before Petersburg. Wright left Brig. Gen. George Crook with three divisions and some cavalry to hold Winchester. Under orders to prevent reinforcements from being sent to Grant, Early marched north on July 24 against Crook. After an hour of stubborn resistance at Pritchard’s Hill, the Federal line collapsed and Crook’s divisions streamed back in disarray through the streets of Winchester. Col. James Mulligan commanding Crook’s 3rd Division was mortally wounded. Rutherford B. Hayes commanded a brigade against John C. Breckinridge’s wing. Crook retreated to the Potomac River and crossed near Williamsport on July 26. As a result of this defeat and the burning of Chambersburg, Pennsylvania, on July 30, Grant returned the VI and XIX Corps and appointed Sheridan as commander of Union forces in the Valley. Description: After weeks of preparation, on July 30 the Federals exploded a mine in Burnside’s IX Corps sector beneath Pegram’s Salient, blowing a gap in the Confederate defenses of Petersburg. From this propitious beginning, everything deteriorated rapidly for the Union attackers. Unit after unit charged into and around the crater, where soldiers milled in confusion. The Confederates quickly recovered and launched several counterattacks led by Maj. Gen. William Mahone. The break was sealed off, and the Federals were repulsed with severe casualties. Ferrarro’s division of black soldiers was badly mauled. This may have been Grant’s best chance to end the Siege of Petersburg. Instead, the soldiers settled in for another eight months of trench warfare. Maj. Gen. Ambrose E. Burnside was relieved of command for his role in the debacle. Description: During the night of August 13-14, the Union II Corps, X Corps, and Gregg’s cavalry division, all under command of Maj. Gen. Winfield Scott Hancock, crossed James River at Deep Bottom to threaten Richmond, coordinating with a movement against the Weldon Railroad at Petersburg. On August 14, the X Corps closed on New Market Heights while the II Corps extended the Federal line to the right along Bailey’s Creek. During the night, the X Corps was moved to the far right flank of the Union line near Fussell’s Mill. On August 16, Union assaults near Fussell’s Mill were initially successful, but Confederate counterattacks drove the Federals out of a line of captured works. Heavy fighting continued throughout the remainder of the day. Confederate general John Chambliss was killed during cavalry fighting on Charles City Road. After continual skirmishing, the Federals returned to the southside of the James on the 20th, maintaining their bridgehead at Deep Bottom. Description: While Hancock’s command demonstrated north of the James River at Deep Bottom, the Union V Corps and elements of the IX and II Corps under command of Maj. Gen. G.K. Warren were withdrawn from the Petersburg entrenchments to operate against the Weldon Railroad. At dawn August 18, Warren advanced, driving back Confederate pickets until reaching the railroad at Globe Tavern. In the afternoon, Maj. Gen. Henry Heth’s division attacked driving Ayres’s division back toward the tavern. Both sides entrenched during the night. On August 19, Maj. Gen. William Mahone, whose division had been hastily returned from north of James River, attacked with five infantry brigades, rolling up the right flank of Crawford’s division. Heavily reinforced, Warren counterattacked and by nightfall had retaken most of the ground lost during the afternoon’s fighting. On the 20th, the Federals laid out and entrenched a strong defensive line covering the Blick House and Globe Tavern and extending east to connect with the main Federal lines at Jerusalem Plank Road. On August 21, Hill probed the new Federal line for weaknesses but could not penetrate the Union defenses. With the fighting at Globe Tavern, Grant succeeded in extending his siege lines to the west and cutting Petersburg’s primary rail connection with Wilmington, North Carolina. The Confederates were now forced to off-load rail cars at Stony Creek Station for a 30-mile wagon haul up Boydton Plank Road to reach Petersburg. Confederate general John C.C. Sanders was killed on August 21. Description:In combination with Maj. Gen. Benjamin Butler’s offensive north of the James River, Lt. Gen. Ulysses S. Grant extended his left flank to cut Confederate lines of communication southwest of Petersburg. Two divisions of the IX corps under Maj. Gen. John G. Parke, two divisions of the V Corps under Maj. Gen. G.K. Warren, and Brig. Gen. David M. Gregg’s cavalry division were assigned to the operation. On September 30, the Federals marched via Poplar Spring Church to reach Squirrel Level and Vaughan Roads. The initial Federal attack overran Fort Archer, flanking the Confederates out of their Squirrel Level Road line. Late afternoon, Confederate reinforcements arrived, slowing the Federal advance. On October 1, the Federals repulsed a Confederate counterattack directed by Lt. Gen. A.P. Hill. Reinforced by Maj. Gen. Gershom Mott’s division, the Federals resumed their advance on the 2nd, captured Fort MacRae which was lightly defended, and extended their left flank to the vicinity of Peebles’ and Pegram’s Farms. With these limited successes, Meade suspended the offensive. A new line was entrenched from the Federal works on Weldon Railroad to Pegram’s Farm. Description: Directed by Maj. Gen. Winfield Scott Hancock, divisions from three Union corps (II, V, and IX) and Gregg’s cavalry division, numbering more than 30,000 men, withdrew from the Petersburg lines and marched west to operate against the Boydton Plank Road and South Side Railroad. The initial Union advance on October 27 gained the Boydton Plank Road, a major campaign objective. But that afternoon, a counterattack near Burgess Mill spearheaded by Maj. Gen. Henry Heth’s division and Maj. Gen. Wade Hampton’s cavalry isolated the II Corps and forced a retreat. The Confederates retained control of the Boydton Plank Road for the rest of the winter.